I can no longer walk around looking like Oscar the Grouch's missing eyebrows have been located above my brown eyes. 8 days early I've ended my challenge!Why did I decide to end my challenge early I hear you cry! I just couldn't handle it much longer mainly because when I found childhood photos of myself I noticed my eyebrows have gotten a lot thicker and are going to constantly grow until God knows when. Me growing them that extra week for me would of been pointless as I've got quite a lot of hair happening. I can honestly say my eyebrows have thickened and filled out. I won't lie - I was sceptical, wouldn't you be? How many products claim to do something and we are left *sighing* and feeling as if we've been haggled into a con? These eyebrows have left a lot of people in shock and in a state of wondering as to where my mind state has been. ...... I didn't get the same full on effect. 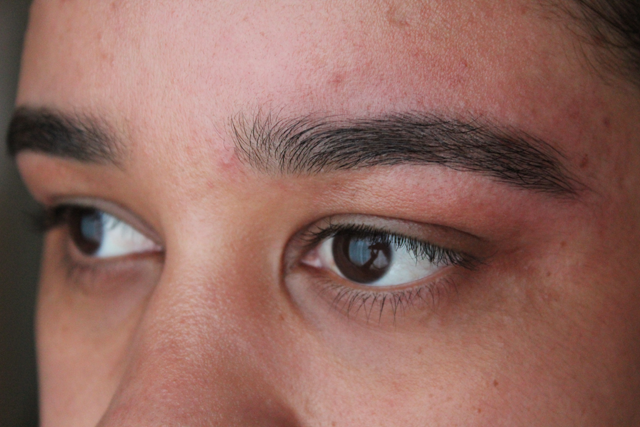 I wasn't sure what I was going to do in the end with my brows, I didn't feel to get HD Brows done again so I decided to wax the majority of the scraggly hairs and thread the rest and pluck out a few stubborn hairs with tweezers. I wouldn't say this is my new shape 100% I honestly just needed to get that excess hair away but I also didn't want to take too much off. In total it's been 9 weeks regrowing them [ feels longer than at it being just over 2months ] so if I made a mistake and took too much off I'd feel gutted. I may end up finding a salon to shape them for me as they could do with a few more lines probably being cleared but I'm quite happy with how well this product worked. 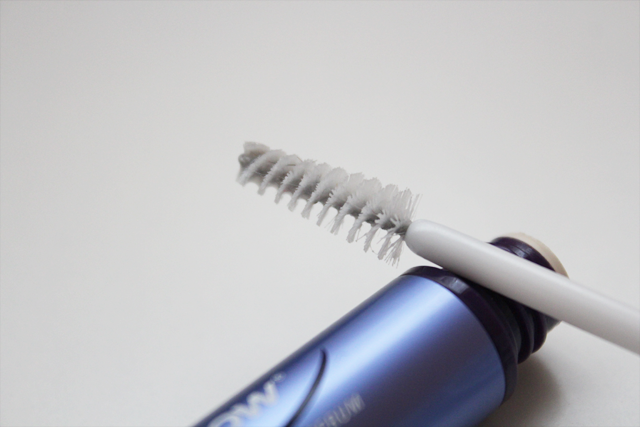 Every morning and evening after I had done my face routine I would brush through my eyebrows with a brow brush and brush them into the correct direction and then go over with the RapidBrow wand. The clear serum reminds me of clear mascara! I apply little pressure while brushing it through to get a nice even coverage. Someone asked me on my first post if I think I would need more than one tube over the 8 week course. There does seem to be some product left but the one thing that does annoy me slightly is that you can't see into the tube so your not sure how much product your left to work with. I wouldn't recommend getting more than one tube because it's like any product it might work for some and not others - one does seem to do well for 8 weeks. I'm going to continue to brush it through my brows to keep the fullness until it's empty! Boy, do I feel NORMAL! Wow this growth is amazing. I tried the rapid lash and it never worked for me :( But your tempting me to get the Rapid Brow. This product just made them even BIGGER! Was taking over haha. I do agree your brows will grow if your hair follicle isn't damaged but as I said my brows have never grown to this extreme, even my natural brow wasn't this shade, hair started to grow where it's never been before. It's such a shame that your brows got ruined :( yeah some brow products haven't worked from what I have read and this is the first one I have ever used so I couldn't compare - thanks for the comment. I'm currently growing my brows out so I feel your pain here! I feel so gross at the moment but I'm going to persevere and then get them done professionally in a few weeks time. I am using HD Brows "Grow Baby Grow" but haven't noticed much difference compared to when I've grown them out not using anything, but I'll keep going with it and hope it works! Thanks so much for this review. 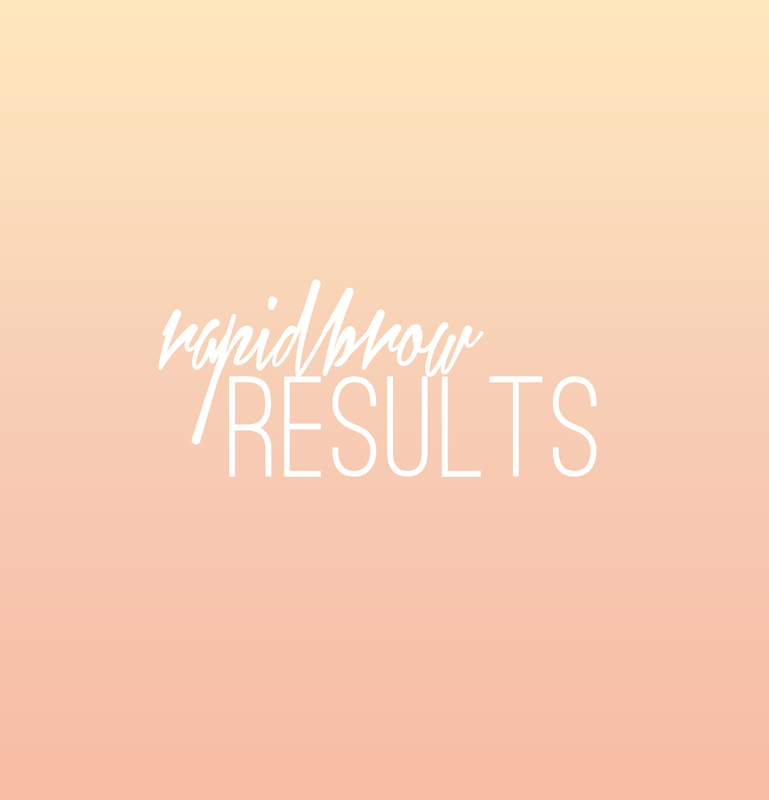 I have one question, though - what happens when you stop using RapidBrow? Do eyebrows revert to the way they were or does the thickness remain? Thanks! They stayed thick. 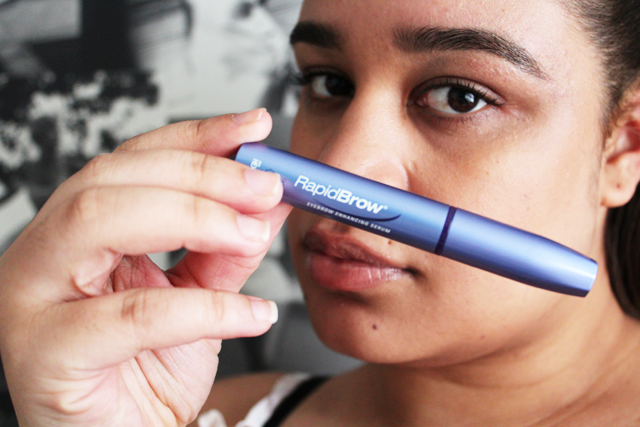 My brows are naturally thick so this helped to enhance the growth back after over-plucking. I've only had to use it once since this review because someone threaded my eyebrows too thin. I don't think it helps to grow hair where it didn't exist before. My experience with Rapidbrow was that it definitely made my eyebrows grow and it made them grow to places where my eyebrows don't normally grow at all because of over plucking. But sadly when I stopped using it the hair growth that I had gotten vanished in no time. Hi I wanted to know how long it took until your hairs went back to normal. I stopped using it a month ago but my hairs are still pretty thick and dark and I just want it to go back to how it was before. Back to normal? They've remained thick ever since, I naturally had thick brows it just helped to grow them back after over plucking / waxing. The new growth will all fall off within 2 months after you stop using this product. The manufacturer also recommends continue use, because they know the new growth will not remain.